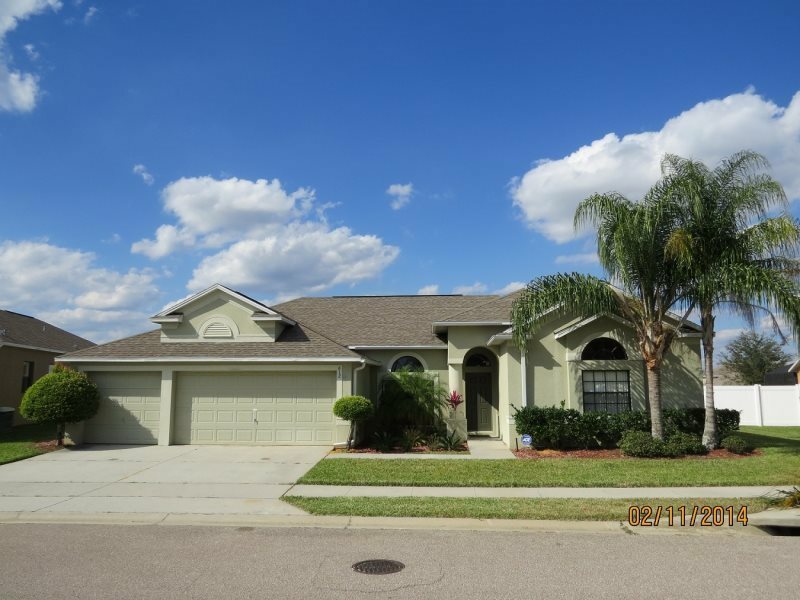 Beautiful Community Close to Disney! Legacy Park Villa is nestled in the Legacy Park, in Davenport, Florida and is perfectly placed for the shops, restaurants, fun and attractions that Orlando has to offer. This villa is big and beautiful, complete with new furniture and beds. 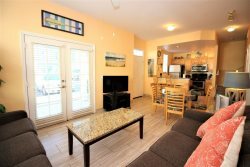 With 4 bedrooms and 3 bathrooms, this fully air-conditioned, family friendly vacation home is perfect for extended families, friends traveling together or for those that just need a little extra room, sleeping up to 11 people (even more if there are babies!). This home has a comfortable family room to relax in during the day or evening with flat screen cable TV, DVD player to enjoy your favorite movie while you lounge on the leather reclining sectional sofa. The villa is equipped with WiFi and there is a flat screen TV in every bedroom. The front study has a queen sleeper sofa and is the perfect place to curl up with a good book. There is a formal sitting room with more leather recliners facing the pool, and a huge dining room with seats for 8. Step out from the family room under the shaded lanai, and sit and eat al-fresco, while enjoying the beautiful Florida weather. Step on to the huge sun-baked screen enclosed pool deck from the master bedroom, and dip in to the cooling and sparkling waters of your own private pool (with optional pool heating). Cook up a summer feast on the propane BBQ. The kitchen has been equipped with everything that you could need to provide a family feast to enjoy together either at the dining area off the main family room, at the dining nook open to the family room, the kitchen bar stools or out by the pool. Luxurious sleeping accommodation awaits you when you stay at Legacy Park Villa. The King Master Bedroom has a full ensuite with a separate shower and soaker tub. There are two queen bedrooms and a twin over double bunkroom. There are 2 additional bathroom, with one that opens to the pool area. There is even a queen sleeper sofa, for when your group needs a few extra spots to lay their heads! Legacy Park is a beautiful community off highway 27 approximately 8 miles from Disney. There is a shopping center with a grocery store and many tasty restaurants within 5 minutes, and another power center with many big many department stores 10 minutes away. For the golfers in your group, there are more than 20 different courses within 10 miles of this home.